There are quite a few roles open at the investment office for the University of California. Read the job descriptions and you will learn what an endowment allocator does the majority of the time. Lead due diligence on prospective investments from beginning to end, including primary fund commitments, co-investments, and secondaries. This includes assessing the investment strategy, management team, investment risks, portfolio valuations, reference calls, etc. Write clear and concise independent investment recommendations based on due diligence. Provide fundamental analysis and research as part of the due diligence and clearly articulate findings and recommendations to the Managing Director and Chief Investment Officer in a collaborative fashion. Take lead in legal negotiations and fund closings to ensure compliance with the Regent’s policies. Recommend investment ideas and or opportunities to the Private Equity Team for discussion and review. Contribute meaningful comments on the merits and risks of investment opportunities and demonstrate sound investment decision making skills. Represent the University of California on Advisory Boards and provide comprehensive industry feedback and sound guidance to the General Partners as necessary. May lead restructuring of a Fund by collaborating with Advisory Board members and the General Partner. Maintain active involvement with assigned private equity funds by attending annual meetings, having at least one touch point each year with each Fund, documenting annual meetings, reviewing quarterly financial statements, and understanding significant valuation or policy changes. Attend additional meetings on behalf of the private equity team as needed. Be able to speak in depth about each assigned fund/GP relationship. Contribute to hold/sell recommendation for public stock distributions from private equity funds as necessary. Conduct appropriate research and analysis to support recommendation. Prepare and maintain standardized investment reports on fund managers in the portfolios, as well as those under consideration, and make recommendations for decision-making purposes. If you are going to apply, I suggest studying their latest investment results as well. 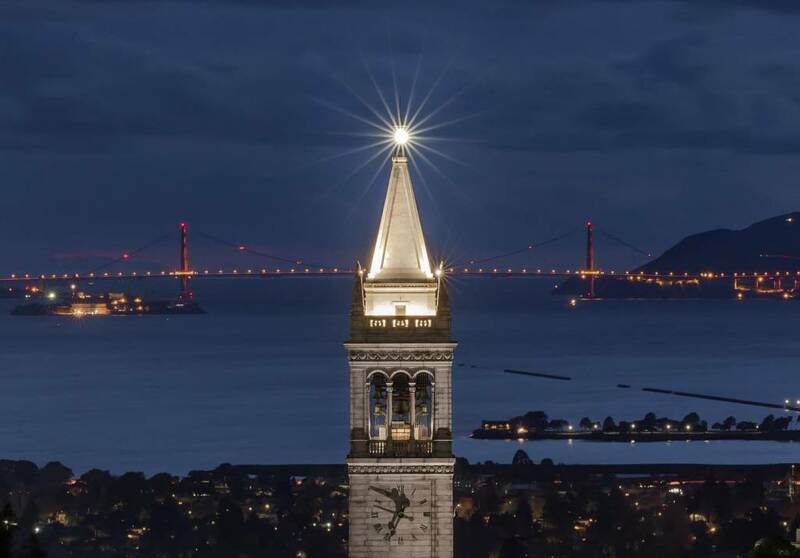 The Campanile at UC Berkeley with the Golden Gate Bridge behind it.